Meetings. Focus on the content, while we take care of everything else. Our objective is to ensure that your business meeting runs smoothly, efficiently and in a good atmosphere. First, we listen to your needs and then come back with a tailor made proposal. To start with we will book the right venue, be it a conference room in a bustling city center or a cosy resort in the countryside. If necessary, we will supply you with audio-visual equipment and technical assistance. 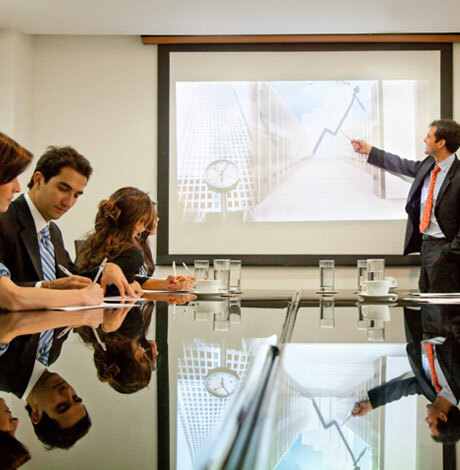 We will take care of preparing the meeting room, catering and photocopying materials. Should your stay in Spain include spare time, we will be happy to suggest and organize entertainment activities.